All ages are welcome. Winners get a pizza party! 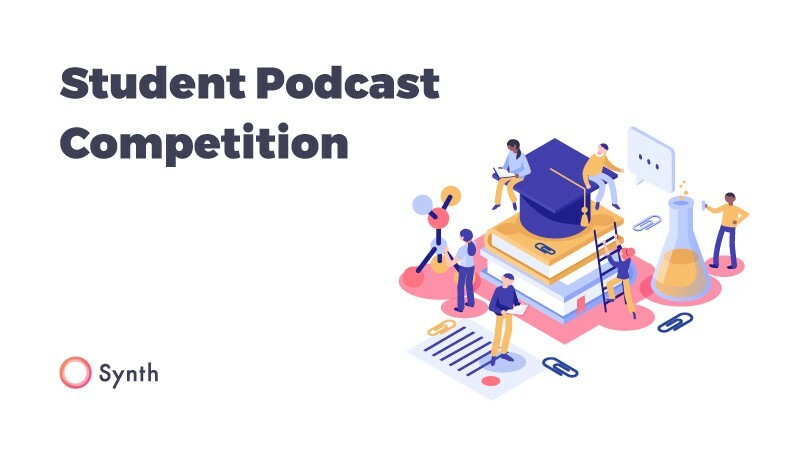 We’re launching a sister student podcast competition to the recently ended NPR student contest. It’s open to participation by all ages, including K-4. Winners of our competition will be featured within the Synth community and receive a sponsored pizza party for their class. Interested? Here are the details. Weblink of Synth or Podcast must be mailed by the student’s teacher to competition@gosynth.com. Note: Direct submissions by students will not be accepted. There will be a total of five winners. Prizes will be awarded in each category: Three for K-4 students, one for 5–8 students, and one for 9–12. Winners will be featured on our Explore page and in a newsletter to all our users. Also, they will receive a Synth-sponsored pizza party for their entire class, on us. Did you enter the NPR student podcast challenge? Now you can quickly and easily enter our competition with the same audio files using our importing technology. Learn how. For questions and clarifications, please contact us at competition@gosynth.com.